Improves Muscle Development – If you are working out with weights, being flexible enables you to move through the full range of muscle movement. Stretching increase the range of motion for someone lifting weights while they”re doing it, it also helps to increase range of motion and flexibility in general. 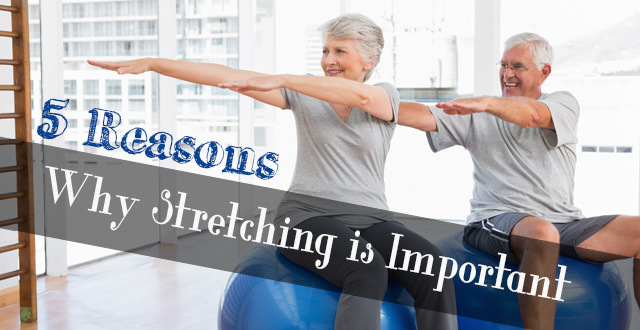 Reduces Injury – Stretching reduces the chance of injury by gradually elongating the muscle. If you”re more flexible then that will mean that you don”t pull or tear a muscle if you are to slip or trip as your body is capable of reaching that position. Warms You Up – Stretching can be used as a way to warm up the muscles and it will encourage the flow of blood. Improves Posture – Stretching can also help you to improve your posture and particularly stretching the back. Improved Circulation – As we’ve said, stretching warms you up. Improving blood flow temporarily also improves general circulation over time. Whether you do a regular workout regimen, or just take a few minutes several times a day to stretch, improving your flexibility has several benefits to long-term health during aging.